Panasonic is a very well-known electronics company which was founded in Japan in 1918. Its product range is very comprehensive: For example, Panasonic produces products in the fields of entertainment & household electronics like washing machines, Hifi & Audio, camcorder, cameras, flat-screen TVs, electric razors and so on. But the range of products also includes factory automation and high-quality engines. For a long time, Panasonic electric bike drive engines belonged to the top-selling systems in Germany. Nowadays, Bosch electric bike systems may be the most widely used in Germany, but due to good quality and interesting technical innovations the Panasonic systems still maintain a good position on the market. Panasonic electric bicycle engines are being used from some well known brands - especially KTM, Kettler and Flyer (for example, in the T-series). Panasonic electric bike drive systems are equipped with high-quality rear engines or mid-mounted engines. The Panasonic rear engine has the advantage that it is very lightweight and small (diameter only 140 mm). The engine is characterized by integrated gears which lead to a very good power delivery. Another advantage of the rear hub motor is that it does not strain the bicycle chain and delivers its power directly to the back wheel. - More compact and lighter construction. - Stronger propulsion, max. torque at least 60 Nm (according to KTM) – this means, this Panasonic system is on the same level as the approved, strong Bosch Performance Line engine. - Now with direct drive (no chain redirection anymore). This means, from now on the chain wheel is being driven by the motor itself. - Quieter than the predecessor. - Remarkable is the completely new control unit with a LCD-display in Smartphone design (the device is operated with a remote control at the handlebar). - Thanks to an USB interface it is possible to charge Smartphones or comparable devices during the drive. - It is possible to charge the battery directly at the electric bike. This Panasonic electric bike system has three different support modes (High, Standard, Eco). We also would like to mention that the Panasonic mid-mounted engine is available with an optional back pedal brake, too. Especially for many comforted-orientated drivers a back pedal brake is very important. 3 Is it possible to optimize / tune Panasonic engines? Yes! There is at least one recommendable and easy-to-use tuning tool which can make your electric bike much faster. But it only works with Panasonic 36V mid-mounted engines. 4 Which Panasonic Tuning Tools do exist? The Sx2 Dongle takes away the 25 km/h speed limit of Panasonic mid-mounted engines and doubles it to 50 km/h. This approved device is not only compatible with all (mid-mounted) motor versions until 2013, but also with the new Panasonic Next Generation Motor 2014. 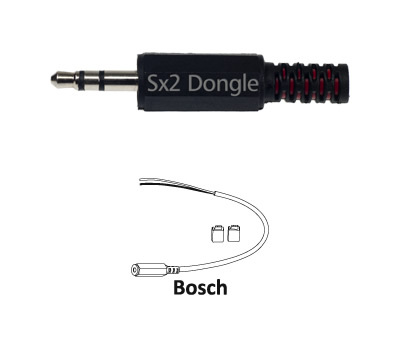 Thanks to its “plug & drive” principle the installation of the Sx2 Dongle is very easy – you simply have to attach the Dongle to your electric bikes speed sensor. There is no intervention in the engine electrics which means that all driving modes will be retained. Thanks to its pluggable construction the Dongle can be pulled off whenever you want to – after that, the tuning is undone and your electric bike is restored to its original condition. By the way, you don´t need an extra battery to run the Sx2 Dongle. Furthermore, the Dongle is 100% maintenance free and outdoor suitable. If you are searching for an easy solution to turn your Panasonic electric bike with 36V mid-mounted engine into a much faster S-Pedelec, the Sx2 Dongle is exactly what you need. Available for the following wheel sizes: 20” / 26” / 27.5” / 28” / 29”.